Home / ROMANCE MOVIES / True Story of Love without Limits in "Breathe"
True Story of Love without Limits in "Breathe"
Golden Globe and a SAG Award winner Claire Foy and Academy Award®-nominated actor Andrew Garfield team up in the highly-inspiring true love story in “Breathe” directed by Andy Serkis who makes his feature directorial debut. Based on a script by twice Academy Award-nominated writer William Nicholson (Les Misérables), “Breathe” sweeps us into the lives of adventurous and charismatic Robin Cavendish (Garfield) and his wife Diana (Foy). Robin has his whole life ahead of him when he is paralysed by polio whilst in Africa. Against all advice, Diana brings him home from hospital where her devotion and witty determination transcends his disability. Together they refuse to be imprisoned by his suffering; dazzling others with their humour, courage and lust for life. “Breathe” is a heart-warming and highly emotional celebration of bravery and human possibility, a love story about living every breath as though it’s your last. 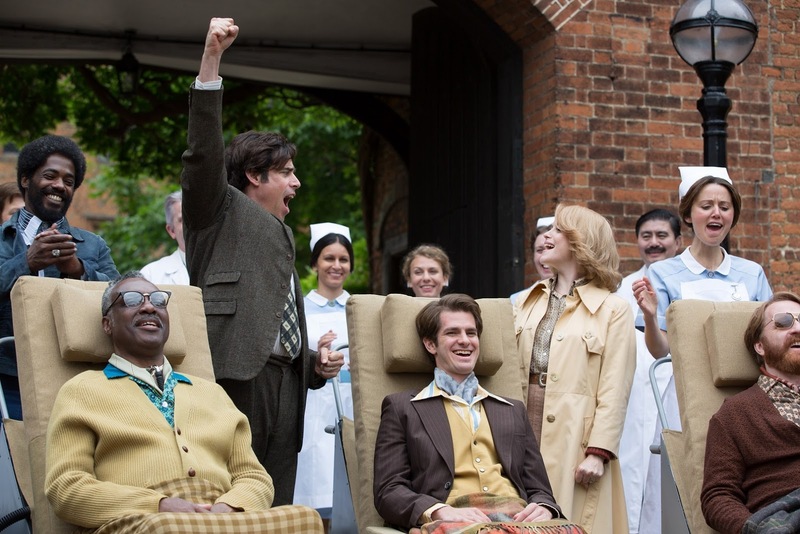 Based on the true story of producer Jonathan Cavendish’s own parents, the movie shows how Robin’s handling of and reaction to his illness had a huge impact on mobility and access for the disabled. With this act of defiance, Robin is already a pioneer, but he goes further, crusading for other severely disabled people to benefit from the kind of mobility he fought for himself. Confounding medical experts simply by surviving, he battles tirelessly for the rights of the disabled – with his beloved Diana always at his side. For her part, Claire Foy found herself fascinated by the real Diana Cavendish, who she plays in the film and who still lives in Oxfordshire. She is in now her 80s. Claire spent time with Diana before and during filming: “I felt very fortunate to have Diana to talk to,” she reflects. “She now has three grandchildren and a very full life. But she did this extraordinary thing for Robin, purely out of love. She’s just a very strong woman. Celebrate love and life when “Breathe” opens nationwide in cinemas on November 22 from Pioneer Films.